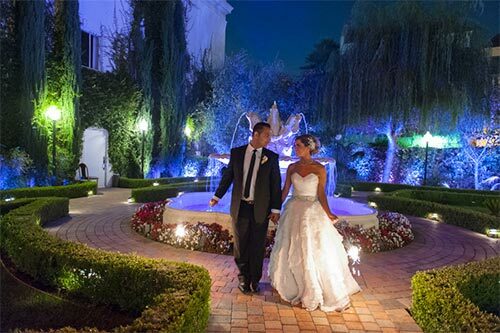 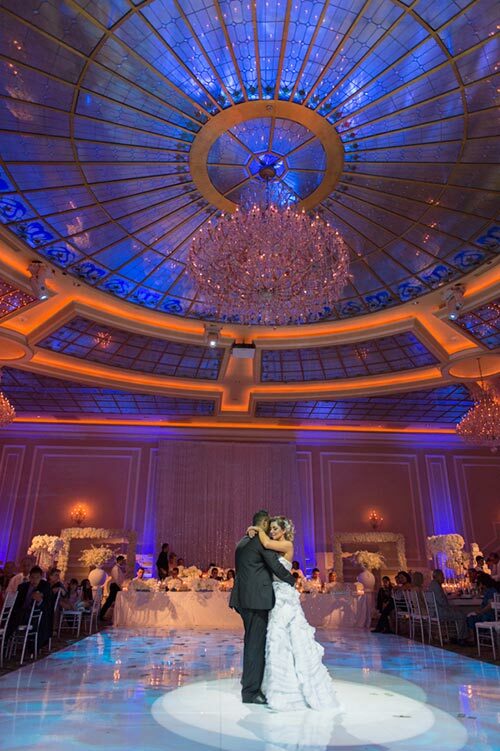 This week we are excited to feature Jaclyn and Gevik's recent wedding that took place at one of our favorite Los Angeles venues, Taglyan! 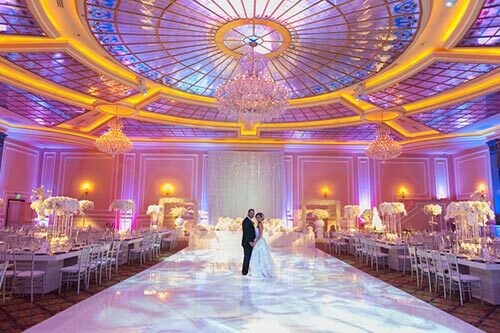 The photographer was Kris Kan and we have featured some amazing shots of the happy bride & groom, the bridal party, and the elegant venue. 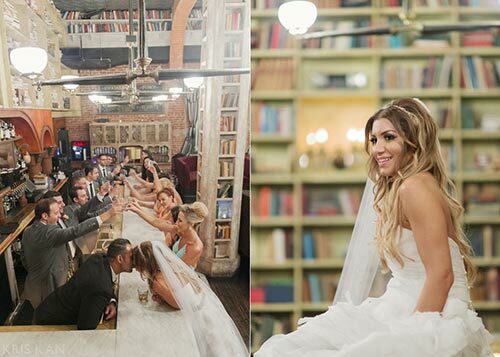 The bridal party photo shoot took place at Hemingway's Hollywood Lounge and Bar located less than a mile from reception. 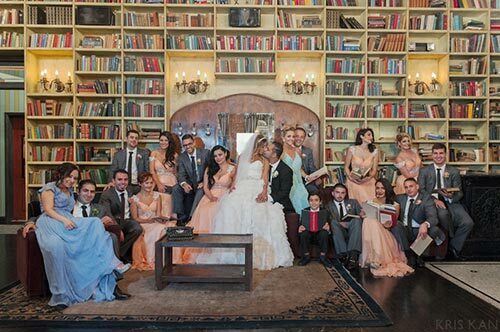 We love the photo shoot location especially the backdrop filled with books! 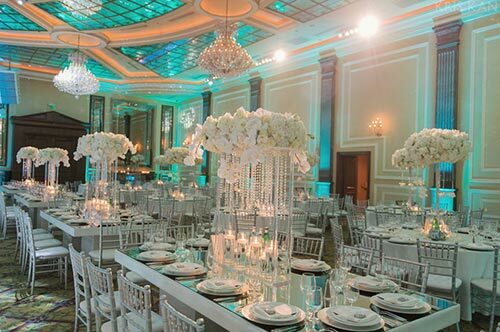 The Taglyan venue looked gorgeous with a mixture of rectangular and round tables with different tall centerpieces to give a more dramatic effect. 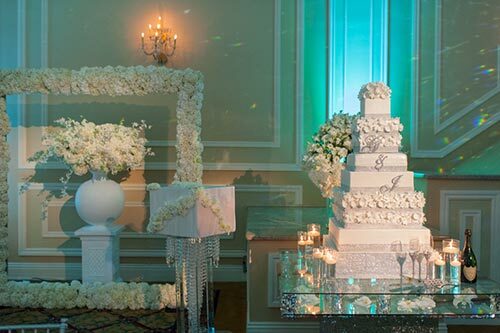 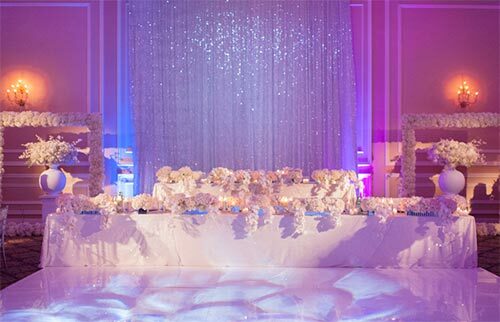 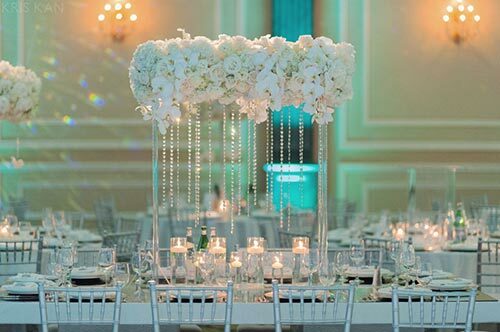 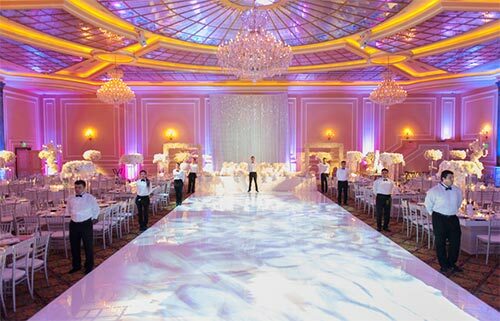 Other elegant touches included the white dance floor and the mirrored tabletops. 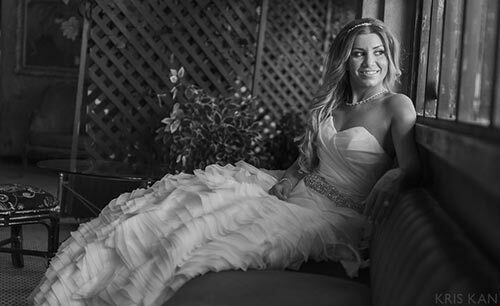 Congrats to Jaclyn and Gevik on your beautiful wedding! 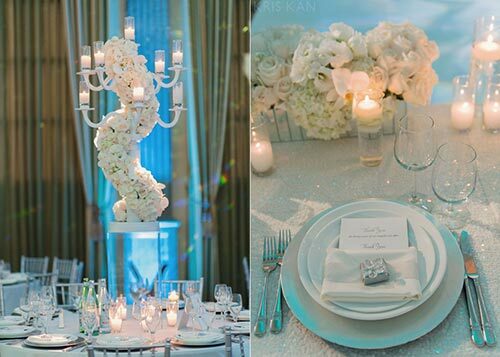 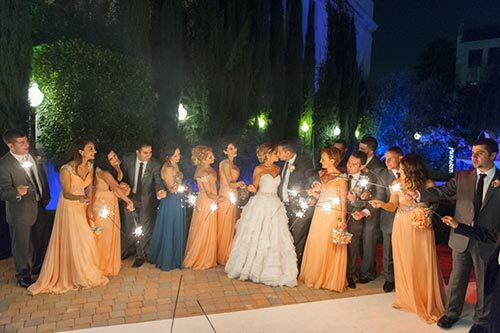 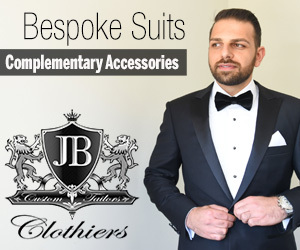 Contact us for a chance to get your wedding featured on Harsanik!